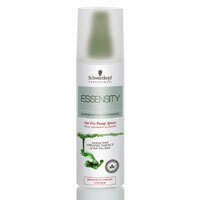 I was very kindly sent Schwarzkopf Essensity Air Fix Pump Spray to try out and review. The spray is ultimately a hair spray in the pump form rather than the traditional aerosol can. "A complete range of colour, care & styling delivering 100% performance. Pure certified organic essences & essential oils drawn from innovative, efficient extraction techniques such as freshly freeze-dried essences of Aloe Vera. Replacement of synthetic ingredients whenever they are substitutable without compromising performance. All products are free from: artificial fragrances, silicones, paraffin-/mineral oils and parabens. The results are convincing: healthy looking hair, natural shine with a velvety, beautiful touch." So the difference here is that this spray is an all natural product that doesn't contain the usual harsh chemicals that standard hairspray does. The Spray proposes to provide Medium to Strong Coverage which is non sticky and easy to brush out. So this morning i decided to test this spray on a style that i love: the age old quiff. 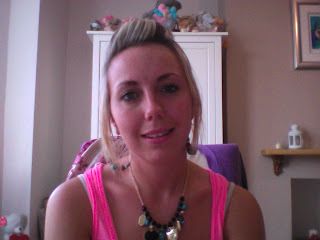 Amazing the quiff has held in place literally ALL day!! Which is brilliant. I must say that upon spraying the spray i noticed a very pleasant fragrance that wasn't over powering at all as some traditional hair sprays can be. Overall this product gets a definite thumbs up from me. The quiff feels soft to touch, not hard like hairspray can sometimes make it, and it doesn't contain all of the harsh chemicals typical hairsprays contain. Plus the fact that it has lasted all day is just amazing!